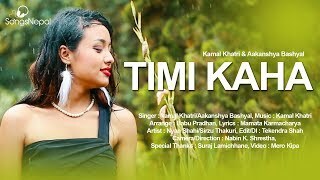 “Bhulera Najau Timi” is the new Nepali song. The song is the latest addition to Nepali Pop Genre. Kamal Khatri & Rajani Bhandari performs the song whereas lyrics is written by Pema Lama. Music composition is done by Rajendra Bajgai and Audio as well as video is done by K. Creation. Kedar Dhital directed the music video starring Anju & Nayan. Ustav Dahal is the man behind the camera and Nishan Ghimire behind editing.